Transport chiefs at Transport for West Midlands (TfWM), part of the West Midlands Combined Authority (WMCA), were informed on 31 January, that it had been successful in its bid to secure funding from the Government on behalf of Birmingham City Council and Solihull Council. The funding will be utilised to analyse patterns of congestion on major roads using CCTV cameras so the effects of various incidents on traffic flows can be better understood. 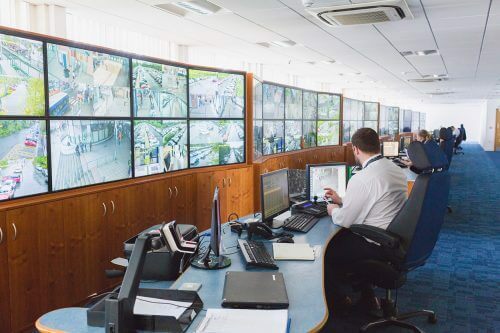 It is hoped that this will shape the most effective action to manage congestion, while simultaneously giving road users up-to-date information and advice so they can organise their routes. TfWM will operate this project over a two-year period and will analyse data from some of the region’s busiest roads. Working with in-car applications such as WAZE, CityMapper and Google and utilising the latest advancements in video technology, transport bosses could track point-to-point car journeys 24 hours a day to enable an early warning system for congestion, based on an individual’s pattern of behaviour. The learning from the pilot will be used to help shape TfWM’s Regional Transport Coordination Centre, due to open next winter.